The Denver Luxe Team: Local luxury agents with a distinctly global reach. We possess the experience, confidence, and market savvy you require to secure your ideal lifestyle choices. Our team specializes in drawing out and showcasing the unique characteristics of your home in order to secure just the right buyer…and for a Sold price you never anticipated. There is no comparison for your exceptional property — Let us show you the value we bring to you. Karina is passionate about being a catalyst for her clients to secure their bespoke lifestyle choices. As team lead for the Denver Luxe Team, she possesses the confidence and market savvy each client’s real estate portfolio demands by bringing more than two decades of entrepreneurship, development and experience in the real estate business to the table. Karina has been featured on TLC’s television series “Surreal Estate” and is one of the top luxury agents in Denver, receiving the Denver Metro Area Realtor’s Association Roundtable of Excellence award annually as well as consistently being in the top 1% of all Realtors in the US for production. From living in Munich – her hometown – to London, New York, Singapore, and Montana, and through her myriad travels to locations far and wide, Karina has established herself as a global luxury real estate specialist, primed to advise and negotiate on her clients’ behalf. 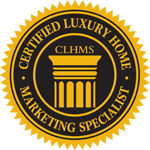 As a Certified Luxury Home Marketing Specialist (CLHMS) and a member of the Million Dollar Guild® with the Institute for Luxury Home Marketing, and as a Certified Negotiation Expert (CNE®) of local distinction, Karina delivers targeted expertise that ensures her clients secure the best prices and most ideal conditions for the sale or purchase of their home. Prior to embarking on a full-time real estate career, Karina was part of Oprah Winfrey’s personal flight team and had the opportunity to travel with her all around the world, cultivating within herself what it takes to successfully partner with high-profile clientele. 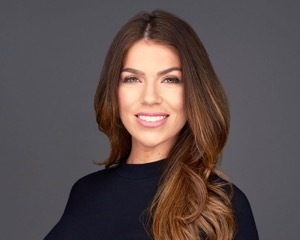 For many of Karina’s clients, the experience of working with her is the first time during which they feel their interests are fully protected and their real estate transactions are handled in a sophisticated manner. She currently lives in Uptown and is well suited by the urban|urbane lifestyle it offers. “Discretion, in-depth market knowledge, and a superior online presence make us the leading choice for discerning clients. We work diligently to build long-lasting relationships. Our clients are clients — and friends — for life.” ~Karina C.
Lisa brings her boutique expertise to real estate with a background in sales, negotiation and high-end interior design. 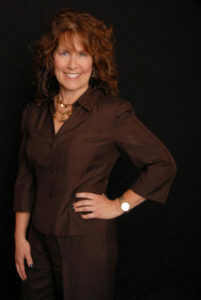 Having resided in the Metro Area for the past 18 years, her detailed knowledge of Denver combined with her background in design and architecture provides Lisa with the distinct ability to understand and meet the needs of individuals and families aiming to invest, settle, and/or secure a secondary home here. Taking a patient, tenacious and enthusiastic approach to each transaction, she strives to always maintain trust and confidence, giving her client’s the highest level of dedication and discretion in meeting their real estate needs. 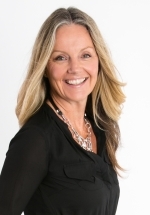 Lisa is an instructor at the accredited American Dream Real Estate School, where she helps students obtain the designation of Realtor/Broker for both the state of Colorado and the National Broker exam. In her spare time she enjoys recreating throughout Colorado, studying architecture and design and donating her time to the community and area schools. Jake has always had a passion for real estate. From a young age he has been fascinated with architecture and design, seeing the beauty in – and being curious about – the built world around him. 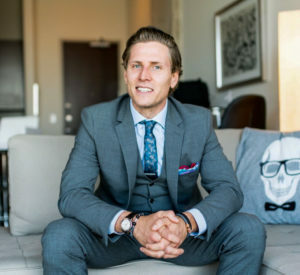 Receiving a degree in Real Estate and Construction Management from the University of Denver gave Jake the tools to meet the unique needs of investors and developers, representing buyers and sellers alike. By understanding the intersection between the numbers and the emotional aspects of the business, Jake brings a unique set of eyes and skills to every transaction and is never satisfied until his clients are thrilled. Being a transplant to Denver has given him a true appreciation for what a special place Colorado is. When he’s not working hard to exceed his client’s expectations, he can be found somewhere in the mountains enjoying all that our great state has to offer with his young family, dog and camera. 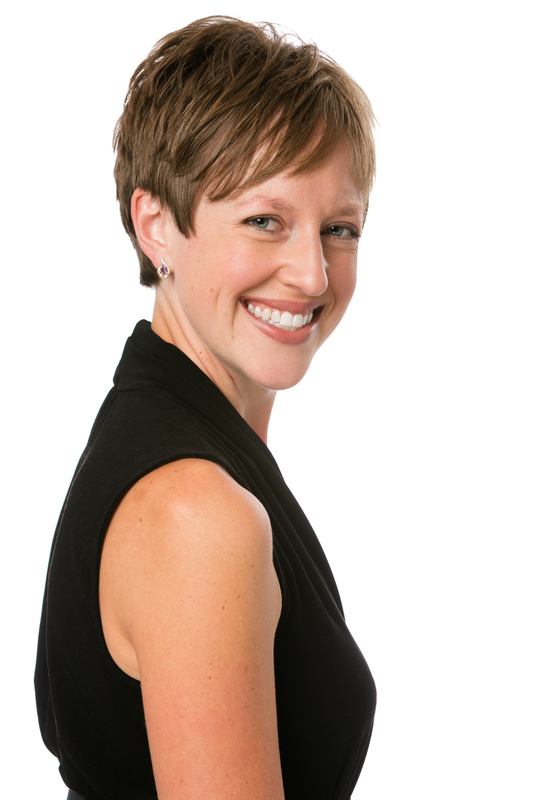 Hallie is passionate about partnering with her clients to achieve their goals…and her long list of satisfied clients over the years proves that her passion rings true! With an education in Business Marketing and a background in high-end hotel and property management, Hallie has gained extensive experience and expertise during her career in infrastructure, property arrangements and real estate investing (from newbies to seasoned investors). Her extraordinary attention to detail comes into play in every professional and personal interaction she has, including her current pursuit to obtain her MBA and further expand her knowledge base and client offerings. She has served clientele in a variety of markets – from Nebraska to Miami to L.A. to Denver – which further adds to her ability to provide targeted business management acumen and a superior customer service experience to those with whom she partners. As a mother to two small children, Hallie spends her free time traveling around the world, exploring Colorado, and working with local dog rescue organizations. Danielle comes from a family of Realtors, leading to her captivation by the real estate business and her intense drive to succeed. Once she had achieved her heart’s desire and earned her real estate license, she realized the degree to which she genuinely loved being a part of the action! Connecting with people – and being an integral part of making their dreams come true – makes it the most desirable career for her. With a Bachelor’s degree in Journalism and a Master’s in Strategic Communication, Danielle brings a savvy business sense and a strong facility for customer service to every interaction, with clients and with the community at-large. To round out her professional goals and commitment to civic contribution, Danielle also teaches Communication classes at a local college. On a personal level, traveling is her greatest passion. Danielle has been to 6 continents and over 35 different countries around the world! 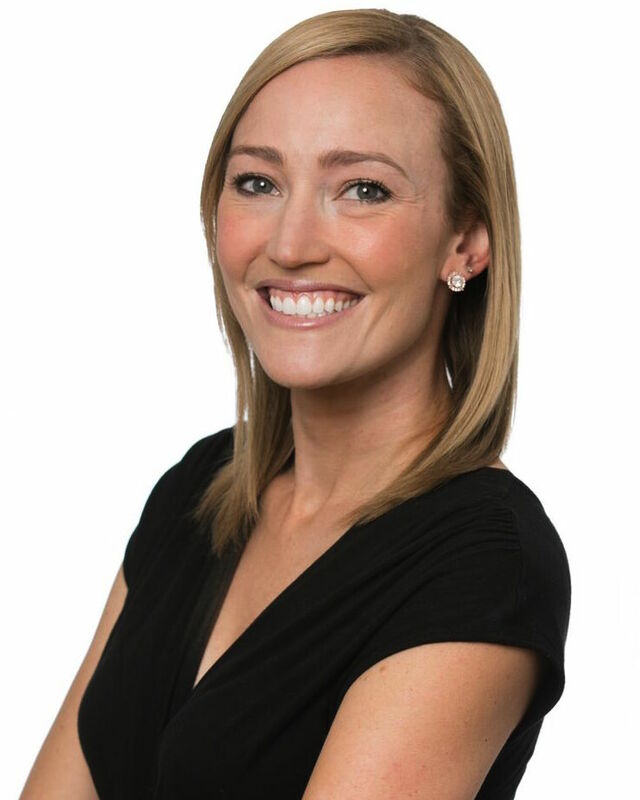 To establish her home base, Danielle moved to Denver in 2014 and has enjoyed getting to know the hot local real estate market, even as as she literally hit-the-ground-running. She loves to run and hike throughout Colorful Colorado, and strives to take advantage of the wonderful sports culture Denver has to offer. 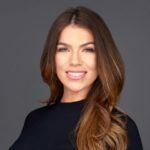 Dana is truly multi-faceted; with her careful attention to detail, she is proud to be a licensed real estate agent drawing upon her professional and entrepreneurial foundation to directly support all aspects of the team’s real estate transactions, marketing activities and concierge services. Originally from Riga, Latvia, Dana speaks fluent Russian and Latvian. She received a Bachelor of Social Science degree from the University of Latvia. Upon her move to Denver in 2008 she fell in love with the city and all it has to offer, including having tons of fun on the town with her beautiful daughter. She has experience in and is passionate about the Hilltop neighborhood here in Denver — which she called home for many years through her engagement with custom luxury home building ventures, an integral part of her professional expansion of horizons and expertise. As Team Manager, Dana is an indispensable asset and keeps the heartbeat of our real estate team right on target every time, every day. From contract to close, Lauren is our Transaction Manager and is thereby focused 100% on assisting each client throughout the home selling process. Her responsibilities include the monitoring of deadlines, assisting with communications, and ensuring each file is complete. At every step of the process, Lauren is in touch with each client to let them know if and when any action is required on their part. Her goal is to achieve the highest level of success for each client through the demonstration of experience, knowledge and exceptional quality service. Kasey has been dubbed our Marketing Maven for her team contributions in writing and marketing, and for her strengths in communication, design and innovative thinking. Her professional background is variation on a theme: no matter the task she is always Your Partner in Success. With a degree in Architecture from Cornell University and several years spent abroad under her belt, Kasey devoted the first decade of her career to honing her skills as a jack of all trades at boutique-style companies in the non-profit and tech industries, and in the world of business development and coaching. She is excited to build her career in real estate as part of the DENVER LUXE TEAM with the opportunity to help provide a distinct level of excellence and market savvy on behalf of each valued client.